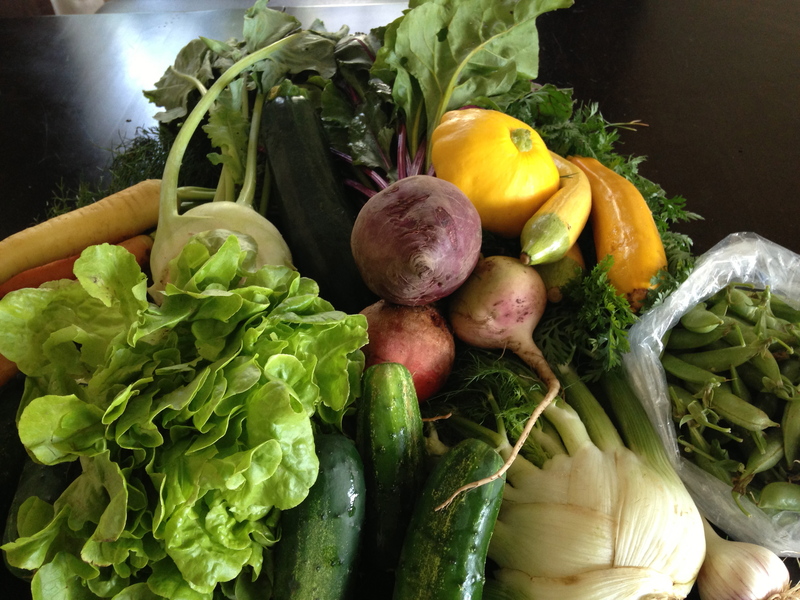 We missed the CSA last week but we are back in town and ready to cook. Look at this bounty! This share is double the size of the CSA I was in last year. What am I going to make with all of this food? Here is what I am thinking so far: salad (obvious), Vietnamese spring rolls, roasted beets and refrigerator pickles. The rest is up in the air except for the fennel. If you want it, call me or come on by. It’s yours! And if anyone has any good ideas for rhubarb, let me know! i went with sorbet. i got creative. post coming as soon as it sets!